(Natural News) Could acupuncture be the solution to anxiety you’ve been looking for? The ancient practice of inserting needles into the skin may sound a bit daunting, but research has continued to confirm that this traditional healing art can offer a myriad of health benefits — including relief from anxiety. Recently published research has further examined the benefits of acupuncture in the treatment of anxiety, and the science is in: Acupuncture works. Best of all, the research team notes it doesn’t come with any harmful side effects — unlike pharmaceuticals. Acupuncture has been a part of traditional Chinese medicine for thousands of years. It’s been used to treat a variety of ailments throughout history, from back pain and headaches to premenstrual cramps, to vascular dementia. As Medical News Today explains, acupuncture is used to balance the body’s energy flow. And when it comes to anxiety, acupuncture may be an invaluable treatment option, though proponents of pharmaceutical intervention are loath to admit it. 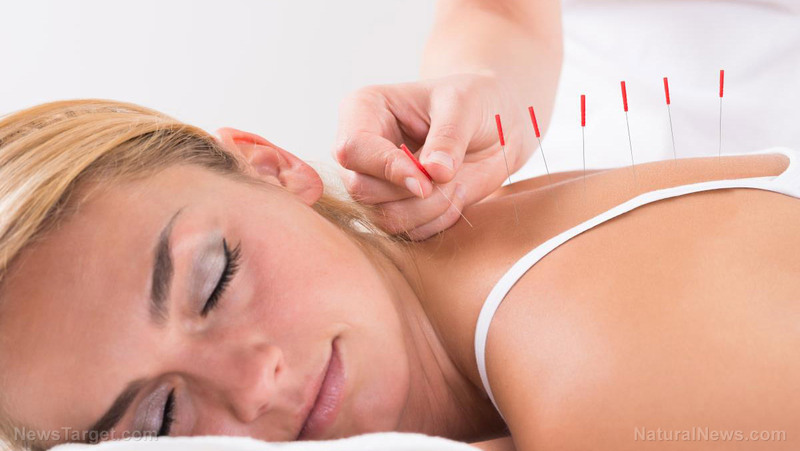 A team of Portuguese researchers published their review of the science on acupuncture in the journal Complementary Therapies in Clinical Practice in May 2018. A total of 13 scientific studies were chosen for analysis, and what the team found was shocking: Despite mainstream medicine’s reluctance to accept alternative medicine as a valid practice, there is strong evidence to support the use of acupuncture in the treatment of anxiety. “Pharmacology and psychotherapy stand for the conventional treatment for anxiety disorders but these present limited efficacy, especially in the case of chronic anxiety, with high relapse rates and often causing adverse side effects. Clinical research studies render acupuncture as a valid treatment therapy for anxiety disorders without significant adverse effects,” the scientists stated, as well. For the estimated 40 million Americans who suffer with anxiety, acupuncture could be an excellent alternative to pharmaceuticals. Ultimately, the team concluded that acupuncture could suppress anxiety-like changes caused by LPS, through regulating the expression of certain brain chemicals. Recent research has shown that acupuncture can offer the brain many benefits, and may even be useful in the treatment of vascular dementia. But, as sources report, acupuncture provides the most benefit when paired up with the tenets of a healthy lifestyle. Avoiding processed foods, eating a diet rich in fruits and vegetables, and getting plenty of key nutrients, like omega-3 fatty acids and vitamin D, can all help support longevity and long-term health. Learn more about traditional Chinese medicine and other natural healing practices at AlternativeMedicine.news.